The world’s most handy travel sling which is Slashproof, waterproof, and keeps your devices charged. 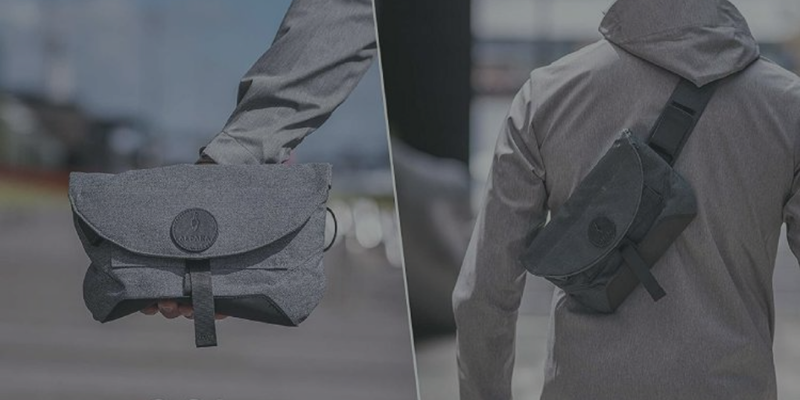 – GOSLING PRO: AN ANTI-THEFT SLING BAG FOR THE Modernized TRAVELER. We all love to travel. Just being in a brand-new place can exude in us a sense of freedom. When we are traveling or exploring, many of us like to capture those huge moments with our cameras. But camera gear is not affordable and most camera bags are not equipped to protect your valuable gear from prying eyes. The solution? A smart, compact travel sling bag equipped with anti-theft features. An anti-theft backpack that makes you feel ease wherever you go. The Front section is lined with 210D Ripstop Nylon and mesh pocket to keep you organized. The Elite Section comes is equipped with a tablet sleeve (9″ max size) and a pocket to hold your compact charger. The Rear section is designed to carry your Passport and other small valuables. It comes with a removable strap so you can carry it over the right or left collar. The key chain in the front compartment. The strap can be quickly and easily set on the go. Quick – Integrated USB port to keep your phone charged at all times. Convenient – Quick Access Pocket on the front for your keys and small items, the main compartment for daily essentials/DSLR camera and lens, and a hidden back to the compartment for your phone and passport. Secure – Made with remarkably tough cut-proof material. Dynamic – Magnetic latches for easy accessibility and improved efficiency.